Try teaming a navy suit with a white dress shirt for a sharp classy look. 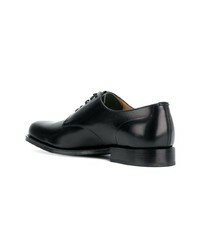 For something more on the daring side to complete this outfit, make black leather derby shoes your footwear choice. 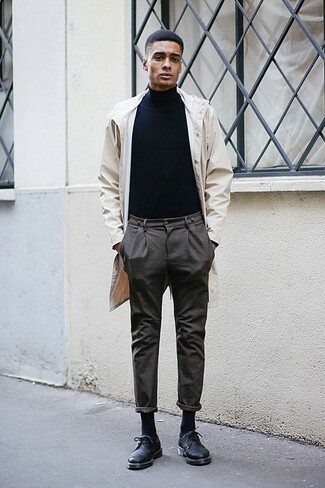 For a smart casual ensemble, dress in a beige trenchcoat and charcoal chinos — these two items go nicely together. When it comes to footwear, this look pairs nicely with black leather derby shoes. 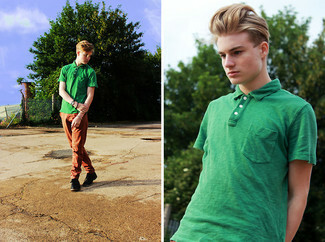 If you're scouting for a casual yet on-trend look, wear a green polo with tobacco chinos. Both garments are totally comfy and look great when worn together. Channel your inner Ryan Gosling and opt for a pair of Church's somerby 2 derby shoes to class up your look. For a nothing less than incredibly stylish getup, consider wearing a black suit and a white dress shirt. 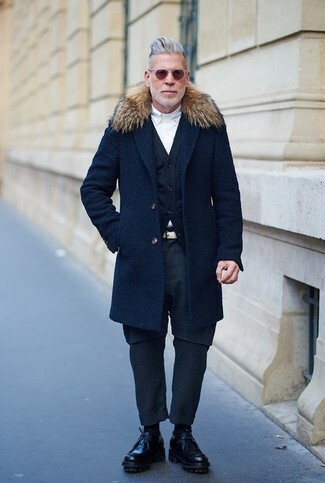 For something more on the daring side to complement this outfit, throw in a pair of black leather derby shoes. 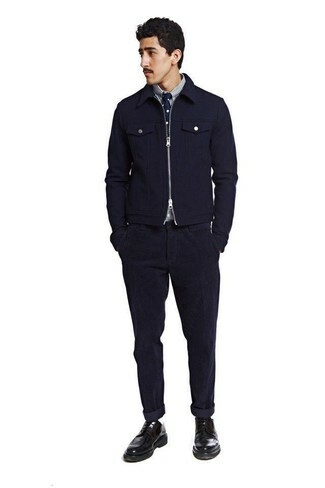 If you're on a mission for a casual yet stylish outfit, team a navy barn jacket with navy corduroy jeans. Both pieces are super comfortable and look wonderful when worn together. Rocking a pair of Church's somerby 2 derby shoes is an easy way to add extra flair to your getup. For a casually elegant outfit, consider teaming a grey trenchcoat with navy jeans — these items go nicely together. 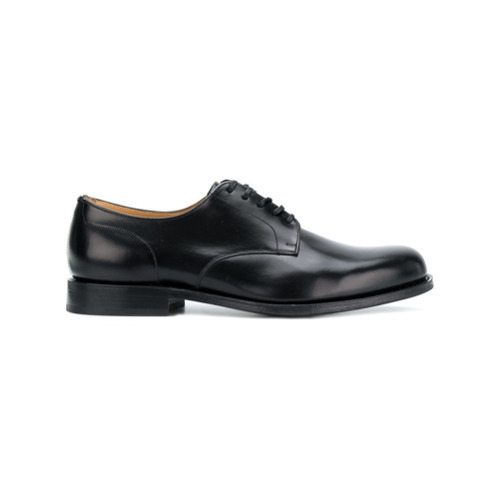 Opt for a pair of black leather derby shoes to take things up a notch. Contrary to what you might believe, getuping dapper doesn't require that much effort. Just consider wearing a navy plaid overcoat and olive chinos and you'll look amazing. Got bored with this look? 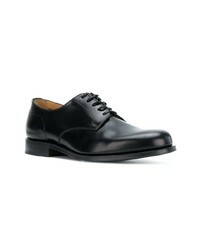 Enter Church's somerby 2 derby shoes to spice things up. This combination of a navy fur collar coat and navy chinos is so easy to pull together without a second thought, helping you look amazing and ready for anything without spending a ton of time rummaging through your closet. When it comes to shoes, this look is finished off nicely with Church's somerby 2 derby shoes. For a nothing less than incredibly stylish getup, marry a navy suit with a navy dress shirt. 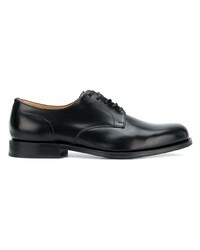 A pair of Church's somerby 2 derby shoes from farfetch.com brings the dressed-down touch to the ensemble.